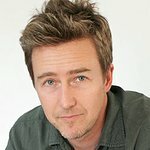 Edward Norton is giving you the chance to join him in NYC to see Radiohead at Madison Square Garden. Norton has launched a campaign on Crowdrise to raise money for the American Civil Liberties Union. Every $10 you donate is a chance to win. The American Civil Liberties Union (ACLU) is working around the clock to protect immigrants’ rights: from fighting the Muslim Ban to ensuring that the thousands of children who remain apart from their parents are reunited – and that families are not warehoused in detention facilities. The ACLU conducts the largest litigation program in the country dedicated to defending the constitutional rights of this country’s most vulnerable communities whose rights are most under threat.